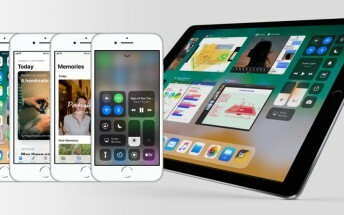 Today Apple has released the second minor update to iOS 11, the hot new version of its operating system that went out in mid-September. iOS 11.0.2 is all about fixing pesky bugs, as its iterative version number reveals. If you have an iPhone or iPad that's still supported, it's recommended to make the jump to 11.0.2 as quickly as possible. 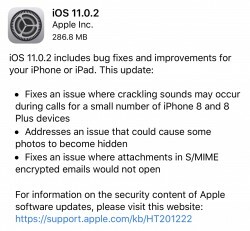 That's especially true if you have an iPhone 8, or 8 Plus and have had crackling sounds during phone calls, as this release will fix the bug that caused that. Also taken care of is a bug that caused some photos not to show up in your libraries, and an issue relating to attachments in encrypted email has been resolved too. To perform the update, just go to Settings > General > Software Update. Note that you will need at least 50% battery to start the procedure.